On Tuesday, Dannah Wilson, a 17-year-old student in Detroit came to Washington, D.C., with a message for Betsy DeVos, the current nominee for Education Secretary. After three hours of confirmation hearings, DeVos was nowhere to be seen. Running on only 3 hours of sleep and after waiting for 7 hours to speak with DeVos, Wilson spoke, instead, to people who would listen – a gathering of members of the AFL-CIO. 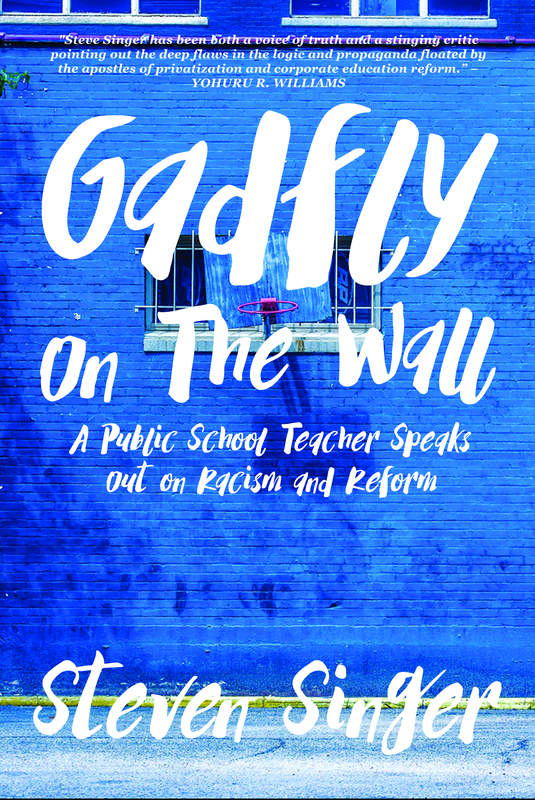 Her powerful statement was recorded by the members of the American Federation of Teachers (AFT) and posted to their Facebook page where it has gone viral. As with anything involving unions, skeptics will dismiss the whole thing as a publicity stunt. That the AFT decided to add an annoying musical score to the video will only heighten that skepticism. However, there is one thing that can’t be denied – Wilson’s sincerity. Her eyes tear up and her voice chokes as she tries to get the words out. You may discount her as a talented actress, but she rings true to me. Moreover, speaking out in this way is decidedly against her own self interest. She attends Cornerstone Leadership and Business High School, a Detroit private school with a $5,000 annual tuition. Expanding voucher programs likely would reduce the cost of attending her school. But no. Wilson is firmly against DeVos, who has spent $200 million or more pushing lawmakers in Michigan and throughout the nation to enact vouchers and reduce charter school regulations. What struck me most was her story of searching for a quality school and being unable to find one. Corporate school reformers aren’t pushing for quality schools. They’re pushing for choice. It’s the difference between a right and a freedom. The Declaration of Independence famously defines “Life, Liberty and the pursuit of Happiness” as “inalienable rights.” As such, it guarantees “Life” and “Liberty” outright, but as to “Happiness” we are only guaranteed “the pursuit” of it. There is a similar limitation being made with regard to school choice. Supporters want students to be able to pick between public and private schools. But that doesn’t mean they have to do anything about ensuring any of these schools actually do a good job at helping kids learn. It’s a subtle point but one that’s often overlooked. Parents and children want a quality education. They don’t want choice unless it will lead to that quality education. If we only guarantee choice, we aren’t giving parents and children what they want and need. In fact, we’re ignoring them in favor of those who would benefit from mere choice – charter and private school operators. Parents don’t want to have to search through dozens of schools to find one that will actually teach their children. Nor would transferring from school-to-school in a desperate attempt to find one of quality be beneficial to students. No, parents want whichever school their children attend to be excellent. And once we see that, we see Wilson’s point. There is no federal right to an education. The Individuals with Disabilities Education Act (IDEA) ensures that students with disabilities are provided a “Free Appropriate Public Education” (FAPE), but that’s as far as the federal government goes. As it stands, it only applies to certain children who qualify, and even then it is under constant legal challenge and review. Traditionally the responsibility has fallen to the states through interpretation of the 10th and 14th amendments. Likewise, most states explicitly guarantee an education as part of their individual state constitutions. However, issues of fairness, quality and equity are constantly in doubt. It’s hard to underestimate how backwards the US is in this regard. According to the Constitute Project, 174 countries include a right to education in their Constitutions – nearly every one included in the available global record. A child’s right to an education is included in international laws like the International Covenant on Economic, Social and Cultural Rights, and in the Convention on the Rights of the Child. The latter agreement, the most widely accepted human rights treaty in history, has been ratified by every member of the United Nations except Somalia and the United States. Policymakers love to demean the US education system in relation to international test scores. It should be noted that almost all of the countries our students are being compared to guarantee their children’s right to be educated. Instead, we’re trying to avoid any national responsibility. States are trying to limit their responsibility. And school choice legislation is attempting to throw it all on parents without giving them any tools except guaranteed options. The real issue at the heart of this debate is the value of private vs public systems. Choice advocates say only privatized schools will provide the best schools, but this is demonstrably false. Many of our public schools are excellent. You’ll find them especially in richer neighborhoods where they spend more per pupil than poorer districts with less local tax revenue to draw upon. Imagine if we committed to fairly funding them all. Imagine if we committed to bringing all of them up to that same standard. School choice is a shell game meant to district you from this point. If the goal is providing all children with an equal, free, and adequate education, the policies of someone like Betsy DeVos take us in the wrong direction. They will only lead us to more tears from brave children like Wilson who have to travel far from their homes to confront uncaring would-be Education Secretaries.